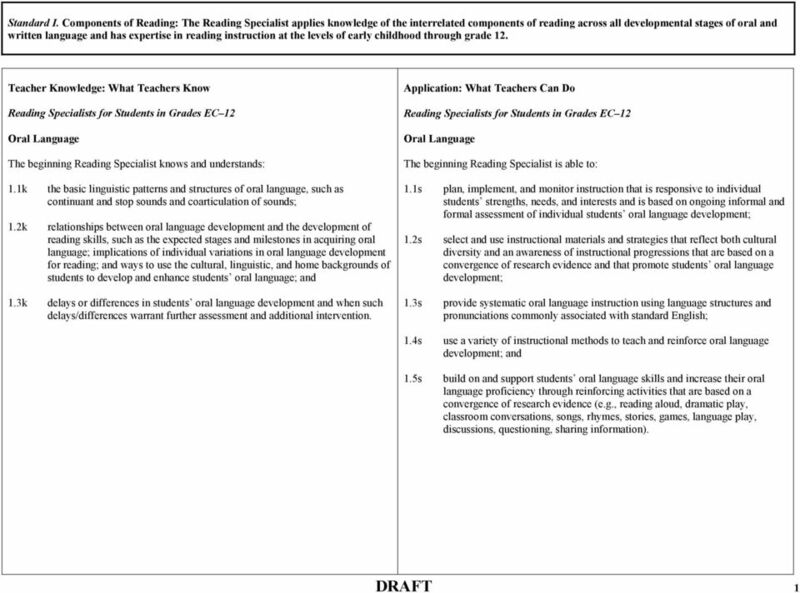 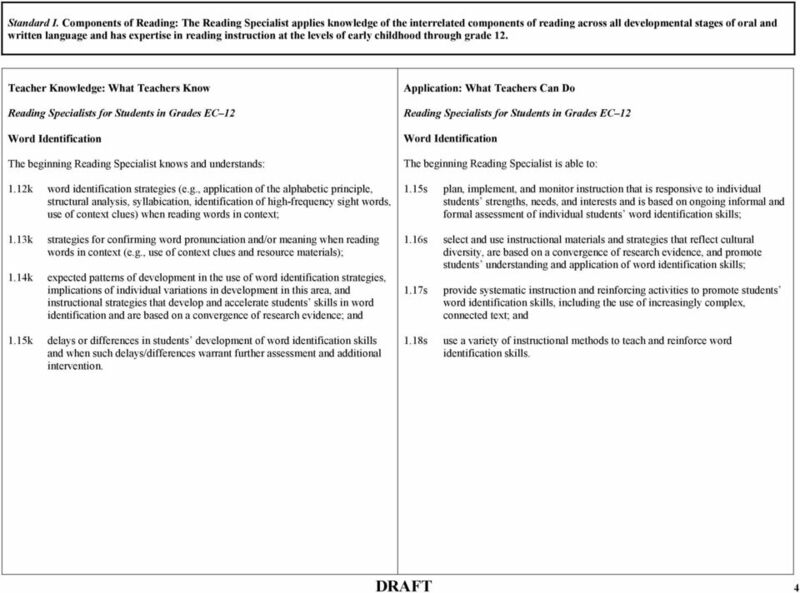 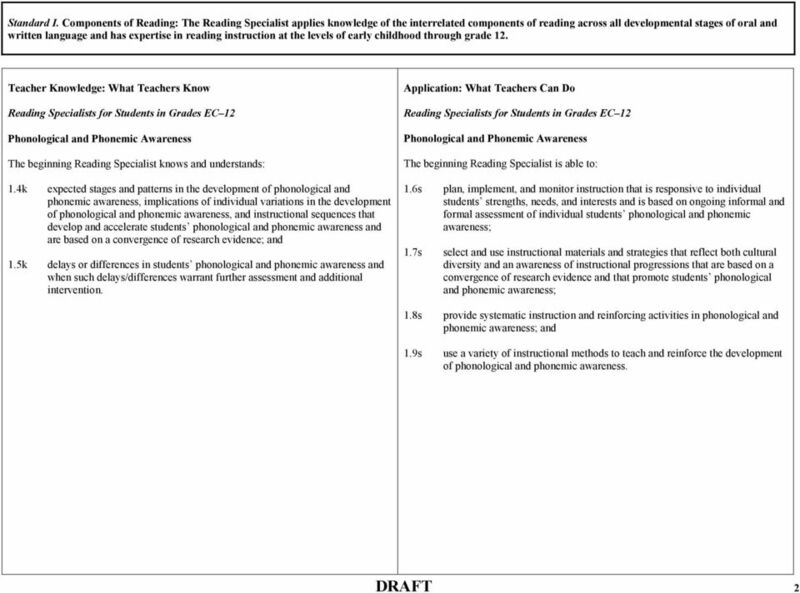 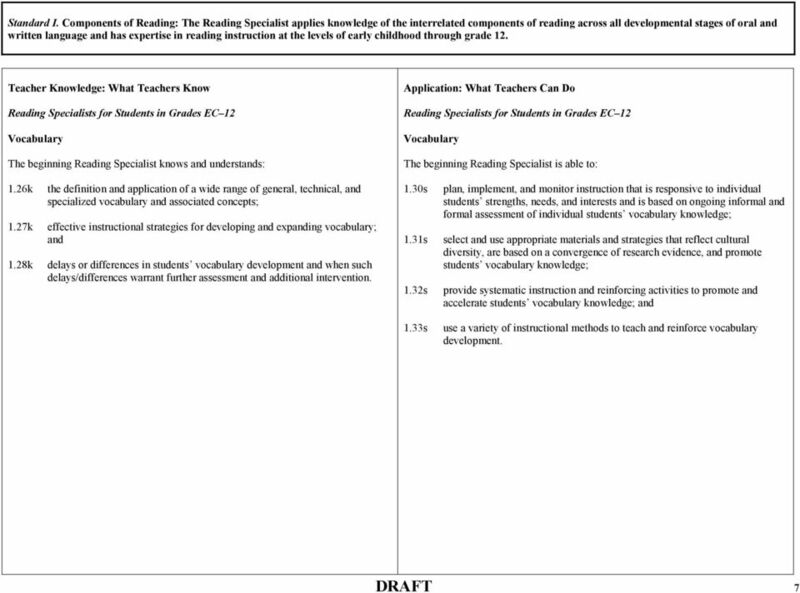 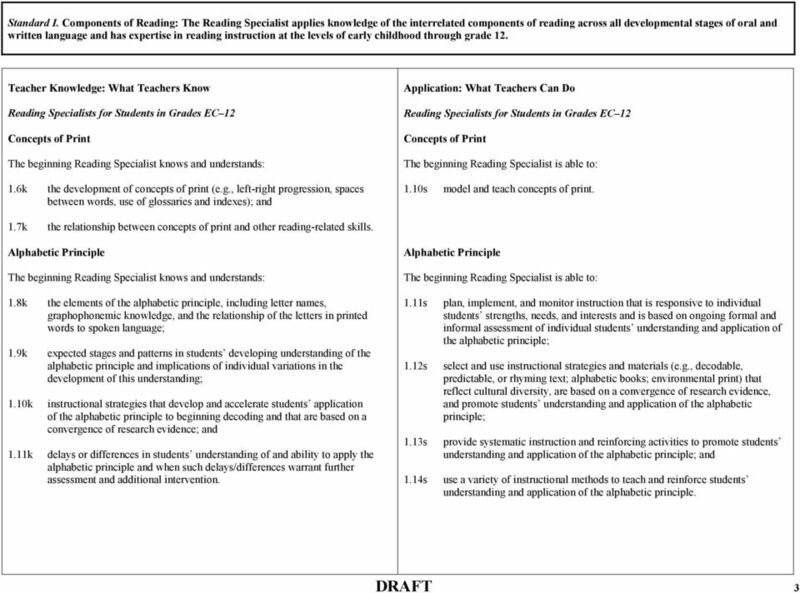 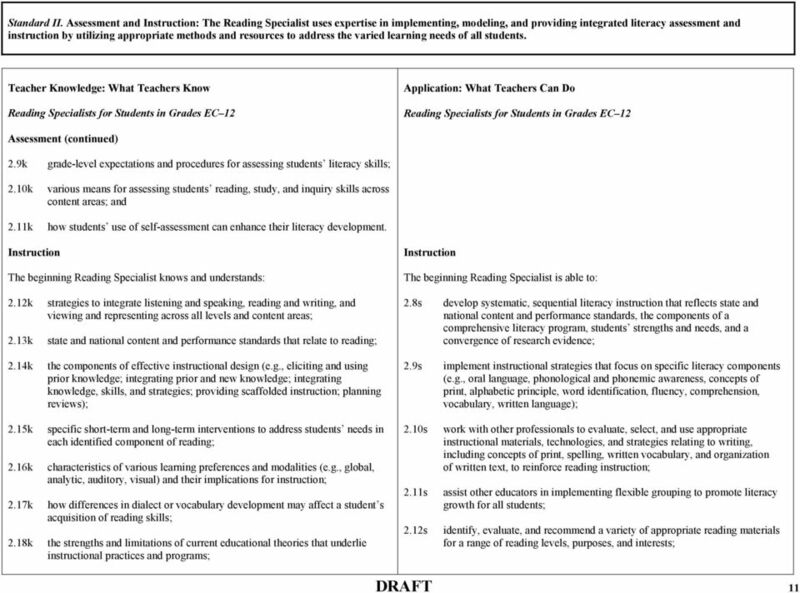 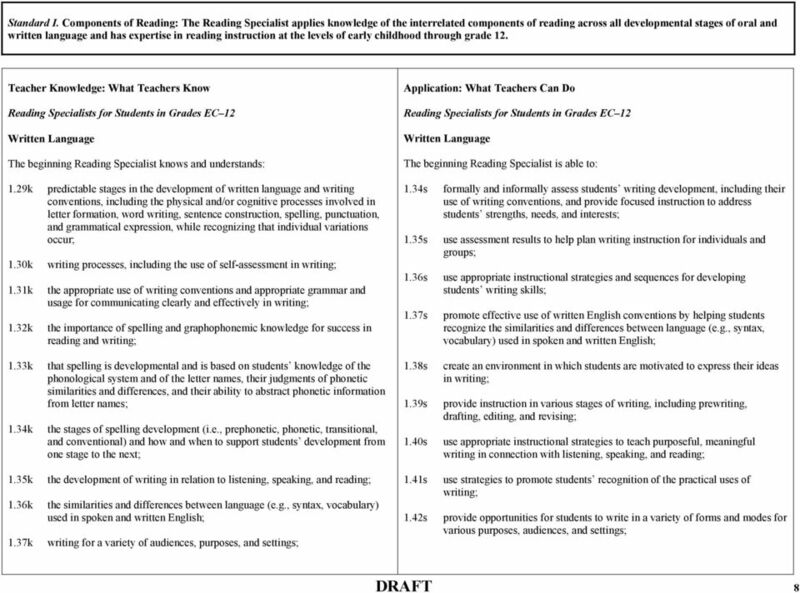 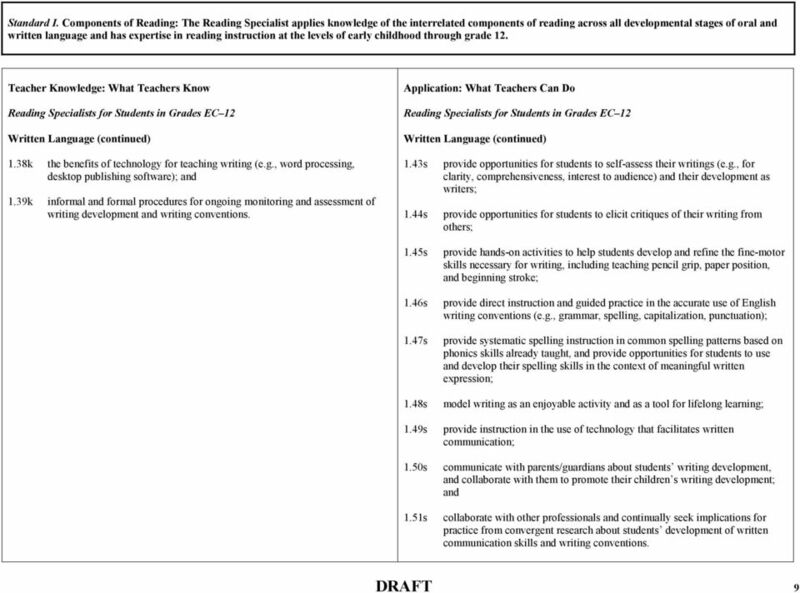 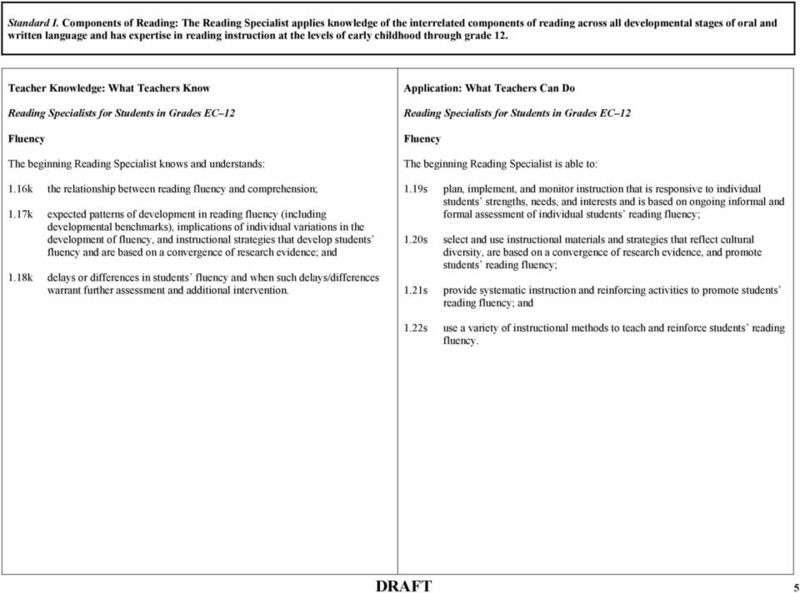 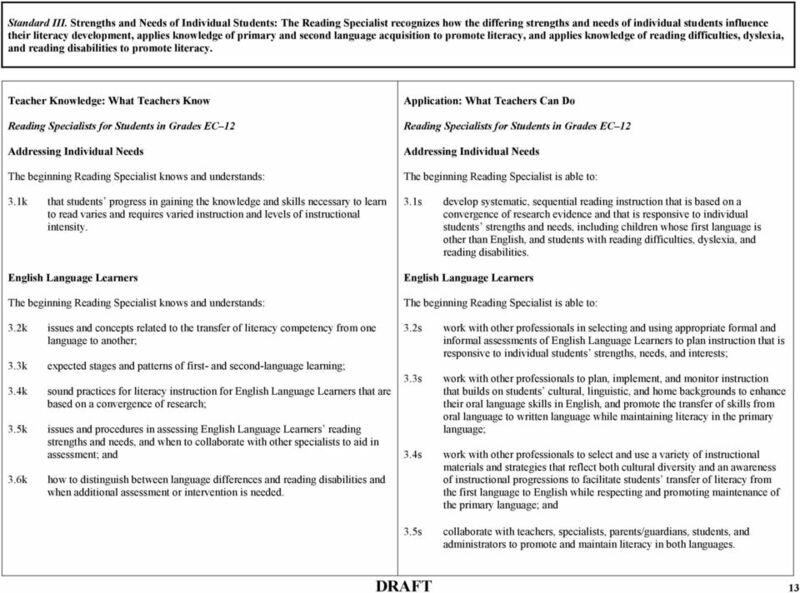 1 READING SPECIALIST STANDARDS Standard I. 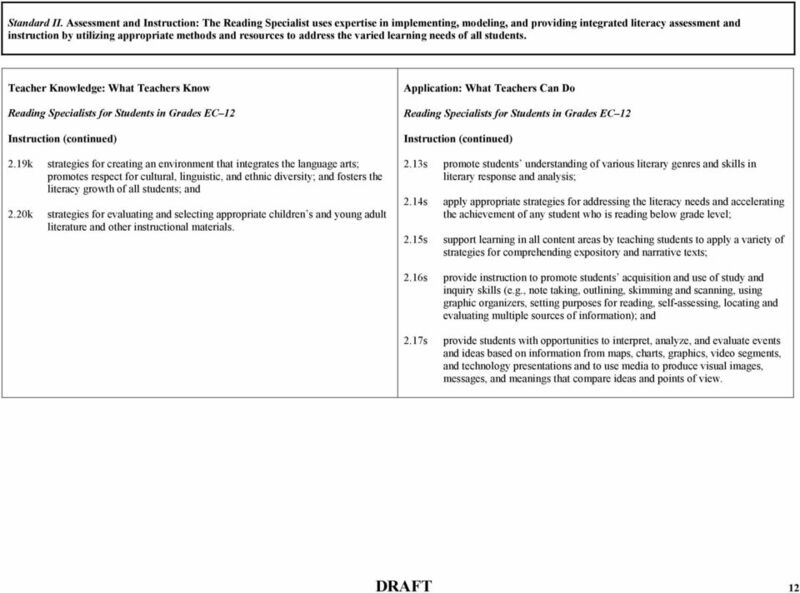 Standard II. 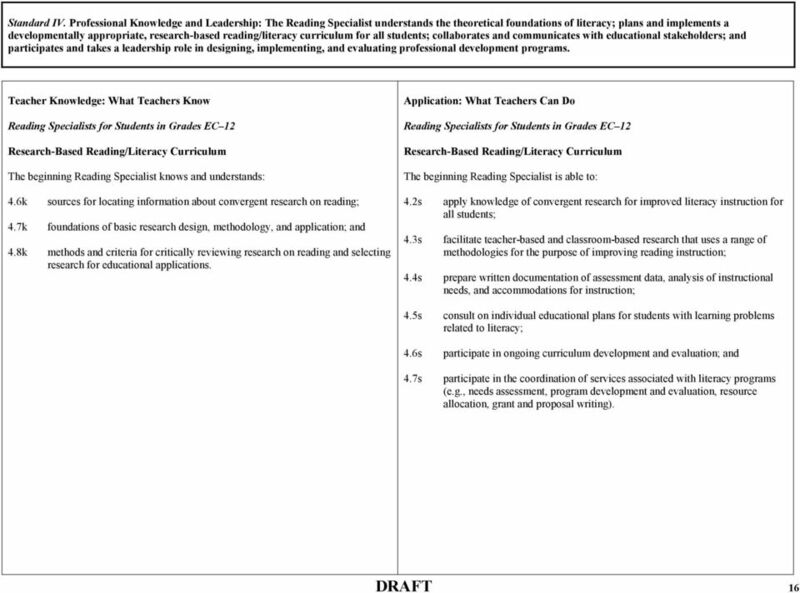 Standard III. 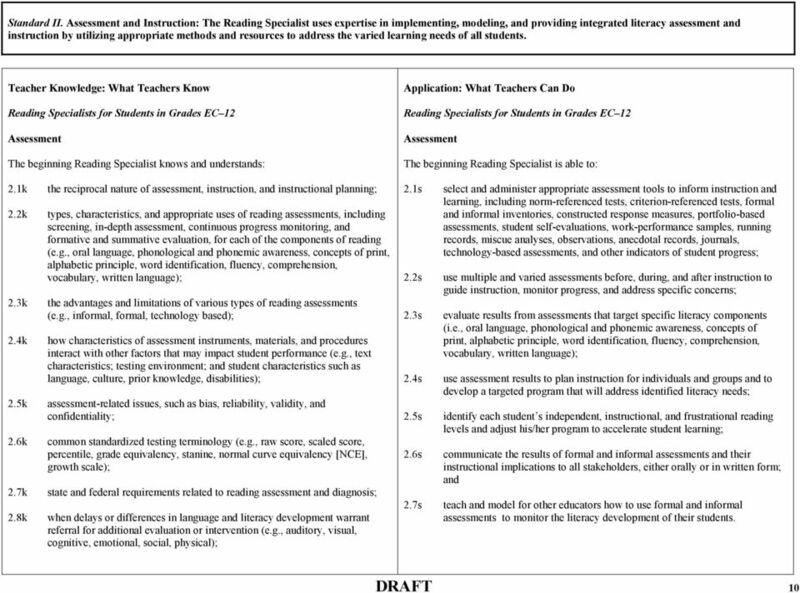 Standard IV. 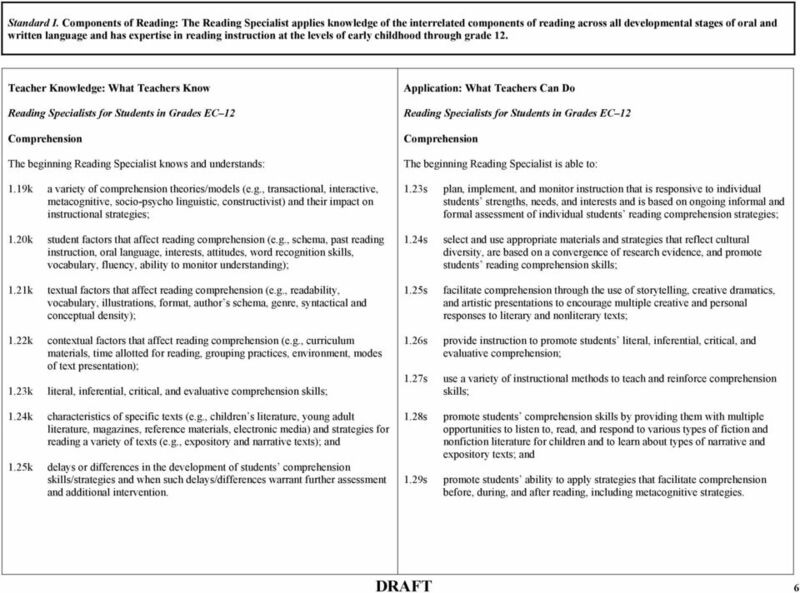 Components of Reading: The Reading Specialist applies knowledge of the interrelated components of reading across all developmental stages of oral and written language and has expertise in reading instruction at the levels of early childhood through grade 12. 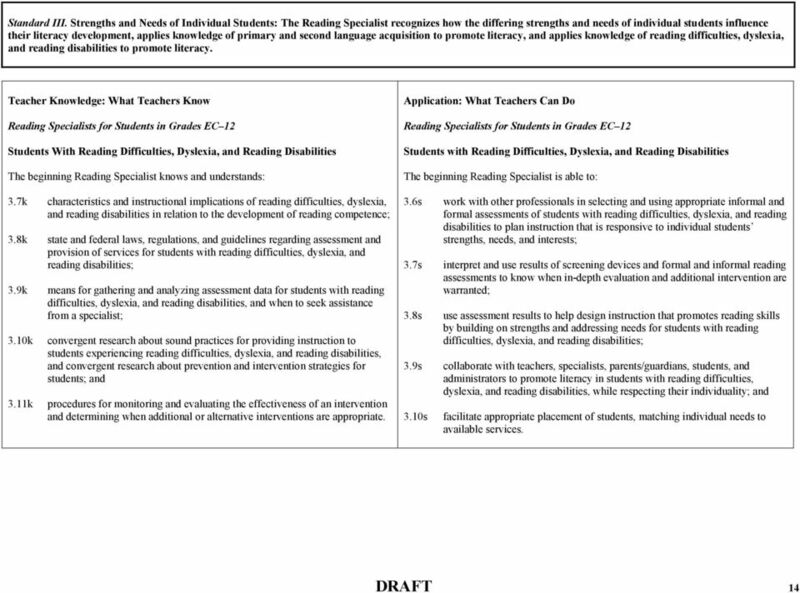 Assessment and Instruction: The Reading Specialist uses expertise in implementing, modeling, and providing integrated literacy assessment and instruction by utilizing appropriate methods and resources to address the varied learning needs of all students. 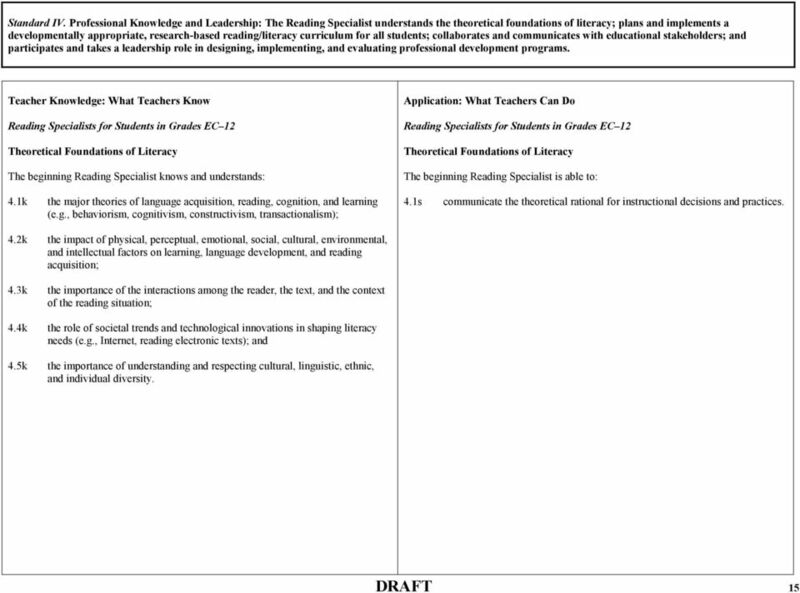 Strengths and Needs of Individual Students: The Reading Specialist recognizes how the differing strengths and needs of individual students influence their literacy development, applies knowledge of primary and second language acquisition to promote literacy, and applies knowledge of reading difficulties, dyslexia, and reading disabilities to promote literacy. 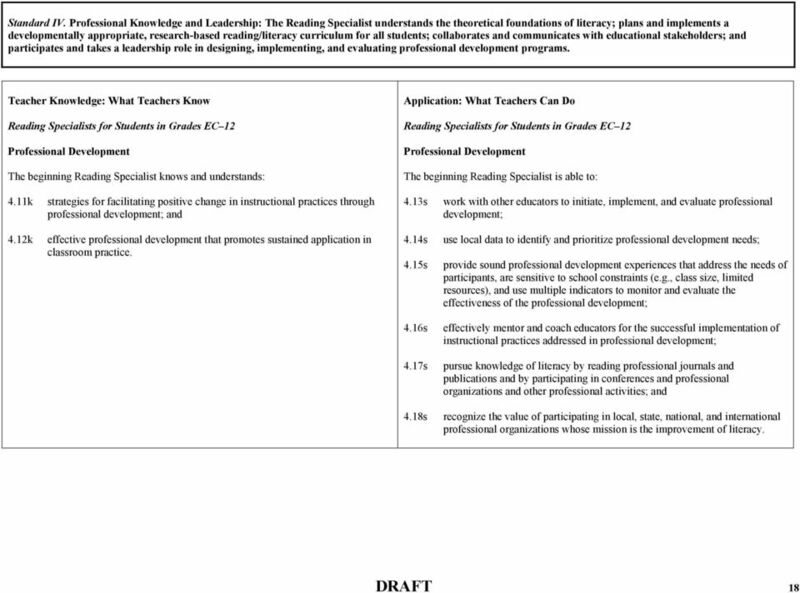 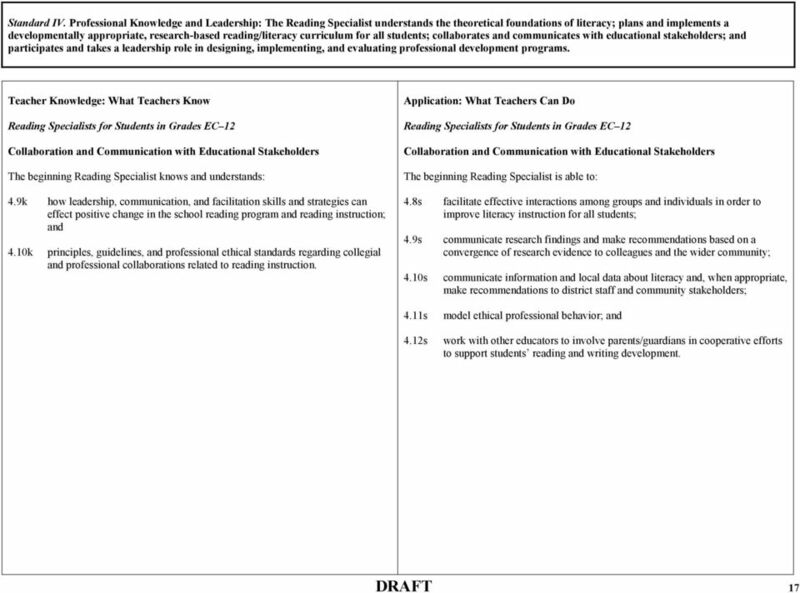 Professional Knowledge and Leadership: The Reading Specialist understands the theoretical foundations of literacy; plans and implements a developmentally appropriate, research-based reading/literacy curriculum for all students; collaborates and communicates with educational stakeholders; and participates and takes a leadership role in designing, implementing, and evaluating professional development programs.